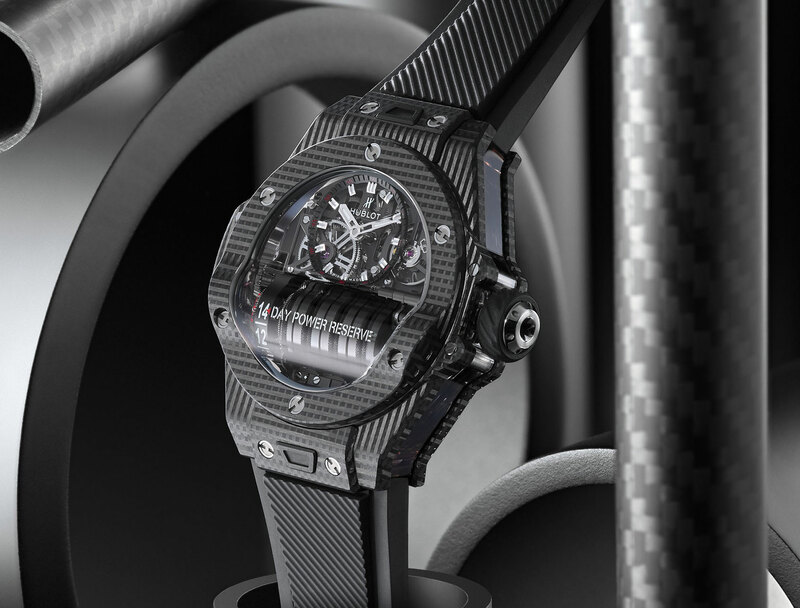 Hublot is, in many ways, a brand given to extremes. Or, at least, not doing things by halves. Their latest twin takes on the powerful MP-11 is a clear case (if you’ll pardon the pun) in point. If you’re not au fait with the MP-11, it’s a fairly impressive piece of tech that is an evolution of 2013’s LaFerrari. The key feature of this 45mm watch is the power reserve of 14 days, an astonishing figure that’s achieved through a rack of seven series-coupled barrels that dominate the lower portion of the watch. Winding this beast is achieved either through a laborious hand crank, or using a miniaturised Torx drill. What’s new here is the case material. 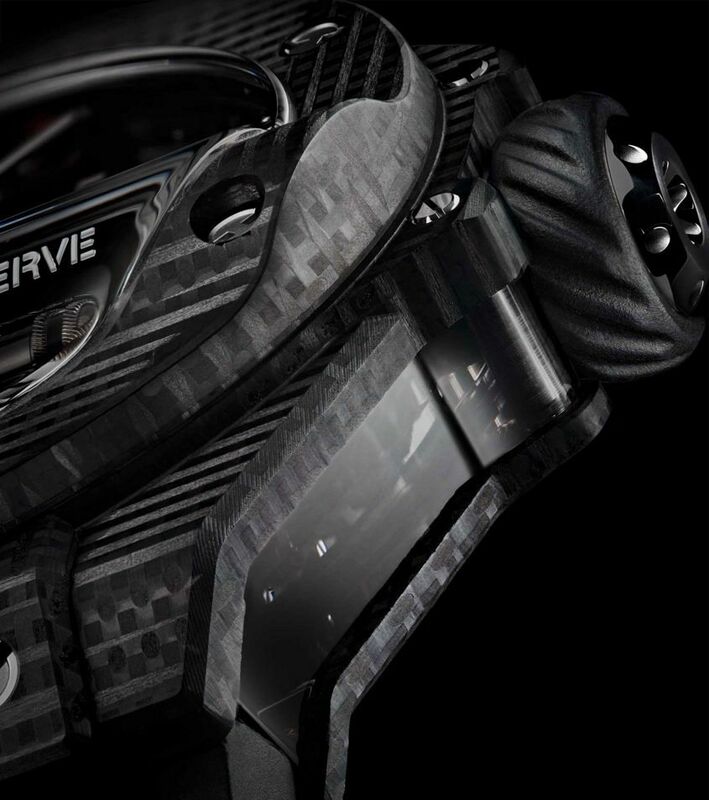 There’s a new ‘All Black’ iteration, in a next-generation three-dimensional carbon, a woven polymer material that’s hard-wearing and lightweight (the whole package clocks in at 90 grams) and, perhaps most importantly, looks cool. If smoky carbon isn’t your jam, how about the icy crystalline structure of the limited edition sapphire (200 pieces), which lets all the interior workings hang out. 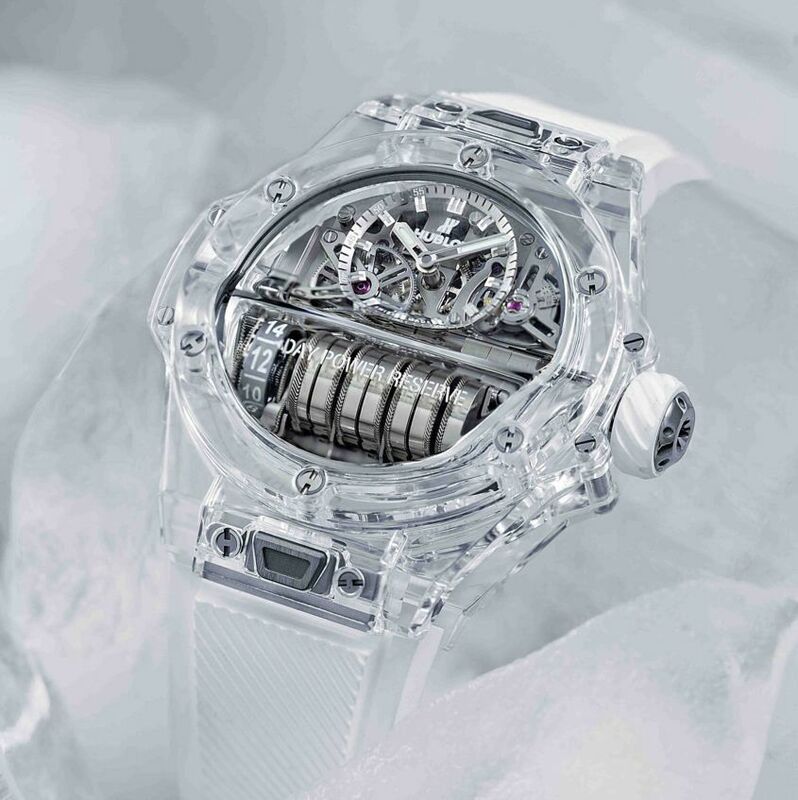 In fact, Hublot is accentuating the movement architecture by curving the sapphire case to follow the curves of the multiple barrels, even going so far as to use the sapphire to magnify the power-reserve indicator. Clever stuff, Hublot. So, are you drawn to the light or the dark?